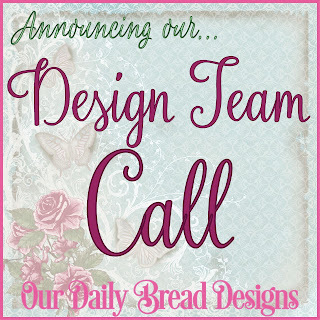 Our Daily Bread Designs is looking to add a few talented designers to our Design Team to help promote our stamps, custom dies and paper collections. This is done through posting cards and projects on your Social Media Sites, ODBD Samples Gallery, Personal Blog (if you have one), SCS and other online galleries and forums. 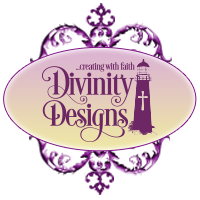 Our extensive product line focuses on Christian scripture verses and inspirational rubber stamps, custom dies and paper pad collections that are to be the focus of the cards you’ll be creating as part of the Design Team. Details: We are looking for a few designers for a two-month design term (during May 2018 – December 2018, with a possible extension through June 2019). We will be accepting applications until April 7, 2018, with new team members notified by April 9, 2018. Applicants must be active on Social Media, need to work well with deadlines and consistently produce projects of high standard. Please send the following information via email to kelley@ourdailybreaddesigns.com with Design Team Application in the subject line, by April 7, 2018. Very exciting. I would love to do this. Hello. Could you please tell me if these are rubber stamps or clear? I have some older ODB stamps that are purple rubber. Just wondering if they've changed. Thanks!